An entertaining tale! Rabbit has his paws full trying to avoid becoming Fox’s dinner. 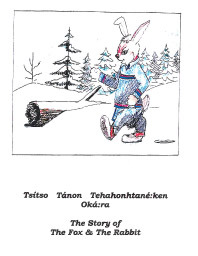 Adapted by Kawinónhsen Audrey Nelson, illustrated by Katlatont Brenda Gabriel-Doxtator.